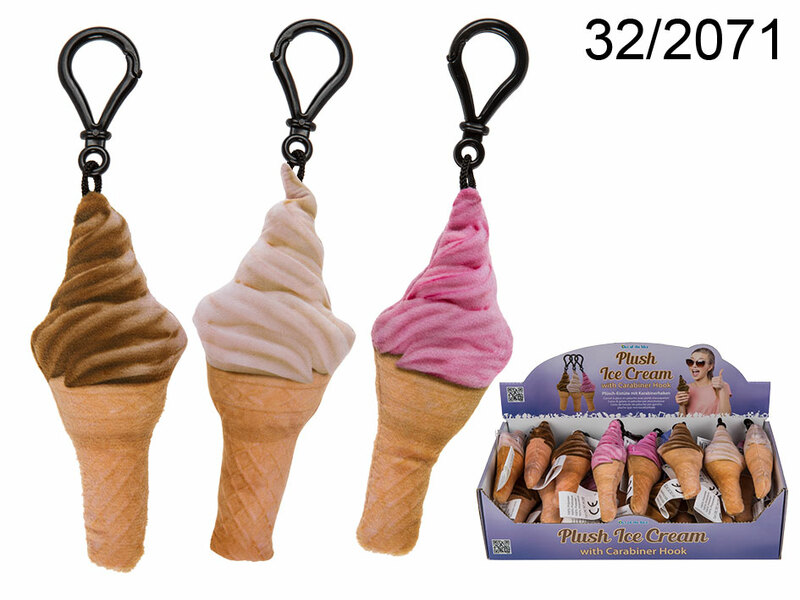 Nice and soft plush ice cream cone on black plastic carabiner. Wonderful item for your keys, bag or a backpack. Three colours available - assorted. When buying 24 pieces display stand is free of charge.